Not necessarily. It depends on two things: 1) Whether or not you actually want to keep your home; and 2) If you do want to keep your home, whether or not there is a substantial amount of equity in the home. The answers to these questions will determine what your options are, and what kind of bankruptcy you should file. If you qualify for a St. Louis Chapter 7 and you wish to keep the home, it is possible to retain the asset. So long as there is no equity in the home, then you can simply reaffirm the loan, and continue making regular monthly payments on it (while getting rid of your unsecured debts). But the Bankruptcy Trustee (the person assigned to your case by the government) will want to know if there is any equity in the home. If there is substantial equity in the home (above any exemptions that can be applied), then it is possible that the Trustee will want to liquidate the asset. So for example, if you own a home that has a loan against with a balance of $100,000, and you believe that the fair market value (the amount that the home would actually sell for) is $150,000, then there is equity of $50,000 (150,000 – 100,000 = 50,000). The government then gives you a $15,000 exemption to cover any equity that may exist in the home. This would reduce the equity (on paper) down to $35,000 (50,000 – 15,000 = 35,000). Having $35,000 worth of equity in the home is more than enough for a Chapter 7 Trustee to go after the asset. But if the goal is to keep the home, then there is an alternative. If you file a St. Louis Chapter 13 bankruptcy, it doesn’t make any difference how much equity exists in the home. 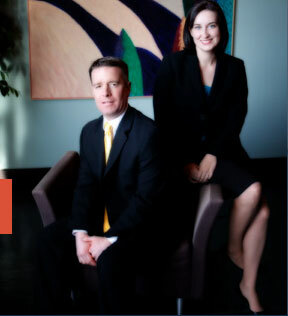 Filing such a bankruptcy protects all secured assets (like a house or car). This type of bankruptcy is especially helpful if you are behind on your mortgage payments, or even have a pending foreclosure. A repayment plan is set up in which you make monthly payments to the Trustee, who then disperses those funds to various creditors (arrearage on the mortgage, car loan, tax debt, back child support, etc.) And of course, you get to keep the home. There is even the possibly (depending on your set of circumstances) of getting your unsecured debts discharged as well in a Missouri Chapter 13.